For over sixty years, Magaña, Cathcart & McCarthy has been devoted to protecting the legal rights of accident victims. The firm specializes in all areas of personal injury and wrongful death law, including aviation, automobile, products liability, railroad, construction, and medical malpractice. The firm is distinguished by its unsurpassed expertise in the areas of aviation litigation and products liability litigation, including defective medical devices and pharmaceutical products liability. Auto Accidents: We seek justice for those who have been seriously injured in a car accident, including those who have been injured by a drunk driver, in a rear-end or head-on crash or other motor vehicle accident. Wrongful Death: We represent families who have lost a loved one due to the negligent or reckless conduct of another person. Aviation Litigation: We are experts in aviation law and have been involved in many landmark aviation cases, pioneering theories of liability and obtaining significant settlements and verdicts in major airline, helicopter, air ambulance and private plane crashes. Products Liability: We hold product manufacturers and distributors responsible for the damages caused by defectively designed and improperly manufactured products, including dangerous drugs and medical products. Commercial Vehicle Accidents: Accidents involving large trucks, buses and commercial vehicles often result in catastrophic injuries or death. Our attorneys have a thorough understanding of the specific laws and regulations governing the safety of commercial motor vehicles and issues which are unique to such cases. Bicycle Accidents: Our attorneys include avid bicycle riders who understand the dangers associated with bicycling in Southern California. We represent bicyclists who have been injured in a collision with a car or other vehicle, or as a result of a product failure or roadway defects. Motorcycle Accidents: We have significant experience in successfully litigating motorcycle accident cases, including cases involving drunk drivers, collisions with other vehicles, or resulting from product failure or hazardous roadway defects. Pedestrian Accidents: Drivers often fail to see or yield to pedestrians, resulting in serious injuries. We pursue justice and fair compensation on behalf of pedestrian accident victims. Federal Employers Liability Act (FELA): We represent railroad employees, including train crews, including maintenance workers, construction crews, laborers, railroad policemen and clerks who have been injured on the job. Industrial Accidents: We prosecute third party liability claims on behalf of those who suffered an injury at industrial or construction sites. Premises Liability/Slips and Falls: Property owners have a duty to maintain a safe premises, fix hazardous conditions, and warn of known dangers on their property. We pursue compensation for those who have been injured in a slip and fall or other incident occurring at a grocery store, shopping mall, apartment complex, or private residence due to a dangerous condition. The attorneys at Magaña, Cathcart & McCarthy have the knowledge, experience and integrity to successfully represent your interests. Initial consultations and inquiries are offered without charge. 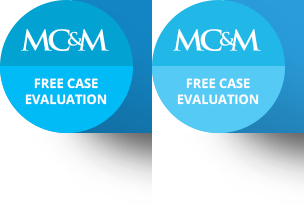 To learn how the firm can obtain results for your specific case, please call 310-553-6630 or contact us by e-mail.